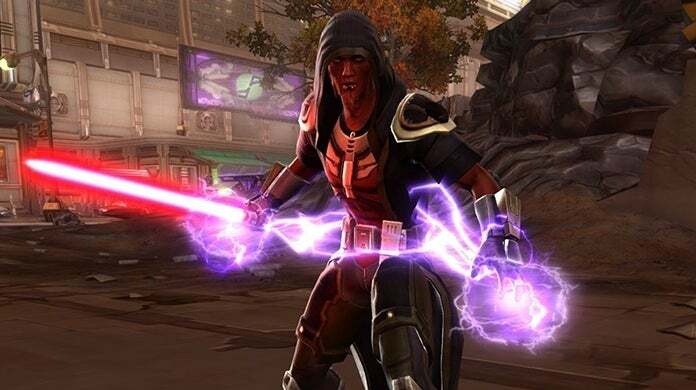 Star Wars: The Old Republic has been kicking around for the better part of the past eight years, with fans enjoying the experience that is BioWare's Star Wars MMORPG. It's been about three years since the game has received a major content update in the form of an expansion, but it looks like that is all about to change. During the festivities at this year's Star Wars Celebration in Chicago, it was revealed that the title will be receiving a new expansion later this year, and it is called Onslaught. During the announcement, creative director Charles Boyd said, "Now that Darth Malgus is back, he’s commanding the Sith fleet in a devastating attack on the Republic. It will be up to players to stop him—or help him." Over on the game's website, the developers outline a bit more of what is to come, and what their ideas behind the expansion itself are. Our philosophy for this expansion is, play your way," they said. "Items have always been an important part of your character’s identity, but for the first time we are offering true depth and choice with exciting new items that let you decide how to play in the upcoming battle. "One of the ways that we’re adding this depth is with an entirely new type of gear slot – Tactical items. These build-defining items directly alter your abilities and playstyle. Taking these new items, players will be able to pair them with numerous new set bonuses to choose from, including general sets that can be used by everyone. "These item sets can be acquired through multiple paths. Acquire your gear no matter how you choose to play: Player vs Environment, Player vs Player, Galactic Command, and Crafting are all viable. New set items, Tactical items, and more open a pathway to limitless depth allowing you to play your character exactly how you want!" Star Wars: The Old Republic is currently available to play on PC, and the Onslaught expansion will be arriving this September. For more on the upcoming content, you can read all about it right here. What do you think about this? Excited for a new Star Wars: The Old Republic expansion? Sound off in the comment section below, or feel free to hit me up over on Twitter @anarkE7!